Waterfront camp on Woodbury Lake, Woodbury VT. Recently renovated with all new interior and great amenities. 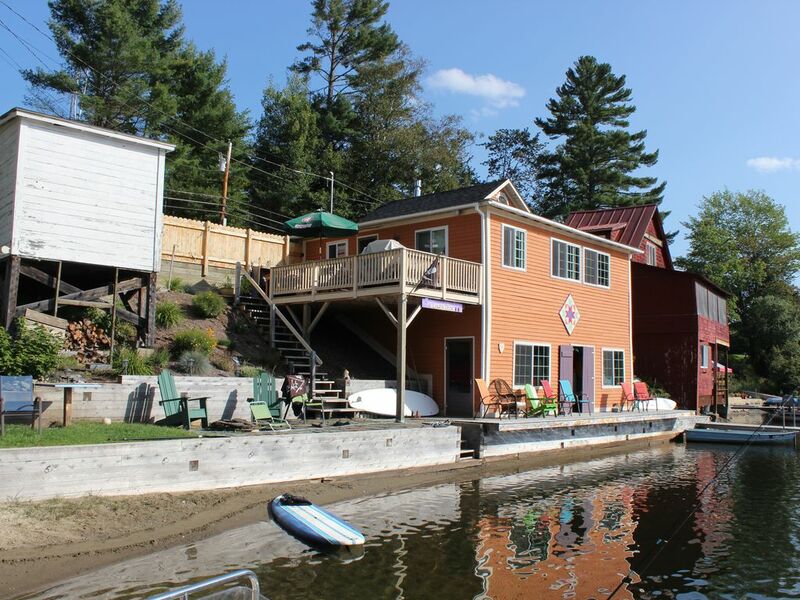 Sleeps 4 people, includes internet/wifi, kayaks, gas grill, fire pit, dock, paddle-boards, row boat, linens, all kitchen items, lifejackets, and all the items you need for a relaxing vacation in beautiful VT. Includes an indoor-outdoor sound system using wifi and your portable music. Enjoy the sun into late afternoon! Cell service for Verizon Users only. Land line available. Propane stove - in living room. Looks like a wood stove but has remote control for easy use. Yes, including wifi and music system that connects via wifi to music on your device. All the items you need for cooking. 2 refrigerators - one is located near water for beverages. Large dining table with bench seating. SONOS music system indoor and out. Par 3 course 2 miles down the road. Woodbury Golf Course. Wonderful house and great host! We had a wonderful weekend away! The house is just as it portrays in the pictures, if not better. Tess was very accommodating and helpful during our trip! We will definitely be back!!! We enjoyed our stay at the lower deck, lots of great neighbors, the camp was well stocked and the outside space is very nice. Plenty of kayaks, paddleboards and tubes for fun in the water. Tess's lake house was set up for the perfect summer vacation. The home itself was cute, comfortable and clean. The kitchen had everything I needed to cook (including spices), the beds were comfy and the patio and deck were perfect places to hang out. The location of the home on the lake was heavenly and having the paddle boards and kayaks included in the rental was an added bonus and allowed us to thoroughly enjoy the water. Tess herself was great with communicating details of our stay before and during our trip. She made the experience go smoothly. I loved this rental and never wanted to leave! This home was unbelievable ! Wonderful location right on the lake with great little beach area . House had everything and more than I could have ever asked for .